I grew up on an organic farm and I love working in the soil, learning all that it can teach me. Located in Fairfield. Serving Solano County. Owner of East Bay Sprinkler & Drip, an A-rated irrigation service and has been an irrigation professional since 2006. Johnnie’s first Irrigation Association training -“Smart Technologies for Irrigation Management”- laid the foundation for his affinity for weather-based irrigation controllers, aka “smart timers”. Johnnie is a former Water Conservation Specialist for Contra Costa Water District (CCWD) where he implemented the Pilot Water-Efficient Landscape Rebate Program, which offered financial incentives to convert over 180,000 square feet of turf into drought tolerant landscapes using low-volume highly efficient irrigation. Johnnie also administered the Home Water Use Survey during the 2009 Drought Management Program, which helped achieve a 20% water demand reduction. 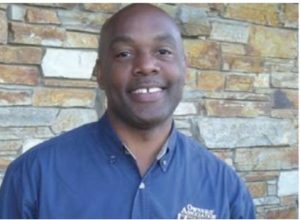 Prior to joining CCWD, Johnnie was the Recycled Water Manager for the Serrano Homeowners Association in El Dorado Hills. Serrano is a “dual-plumbed” community of over 3,500 homes that uses recycled water for landscape irrigation. 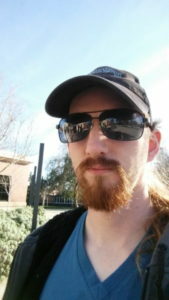 My name is Peter Swenson, and I am a landscape designer. I have spent the last few years gaining a rounded education in the horticultural arts. Over that time, I have earned 5 certificates* in the field, plus more from other sources**. My experience in the nursery environment interacting with local landscapers, has given me a perspective on what’s good for the landscape through a community learned lens. I have designed and installed several Greywater systems into both existing, and new landscapes. I believe that every landscape should offer more than just something to look at, plants offer texture, and scents, as well as color, that can more than make up for a traditional lawn. I have started my own landscaping business in Solano county, and I am moving forward to make it grow! I have a strong horticultural back ground, dating back for over 40 years, which includes multiple certificates from DVC, training at Merritt College, years of nursery work and maintenance work before that. I have been designing full time for about 13 years. Workshops on site design, livestock, gardening, food preservation. Private consultations on the above and garden design. Plant sales for various edibles and natives. Our farm was established in 2008, we’ve been farming and intensively raising urban livestock since 2007. We have experience raising chickens, goats, turkeys, ducks, rabbits and bees (along with our dogs and cats). We also own a small CDFA licensed nursery that specializes in vegetables and is branching out to also offer native plants. 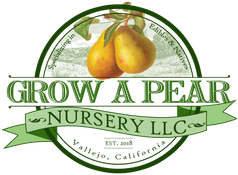 Grow a Pear Nursery specializes in edible and native plants and also sells seeds through Seed Savers Exchange, plants and organic soil amendments. The nursery, which is seeking a permanent space, is available to shoppers by appointment and also offers workshops and consultations. 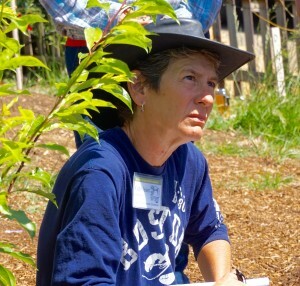 Lauren has worked as a landscape designer specializing in California native and edible gardens for over three years. She has a passion for working with plants and restoring ecosystem function. 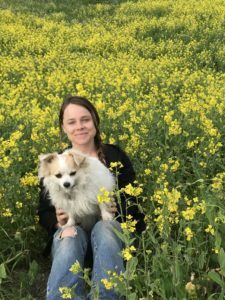 She designs for our local insect and bird populations by using plants that provide pollen and nectar sources. 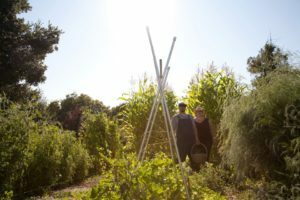 Lauren also has a Permaculture Design Certificate, which allows her to design and install sustainable edible gardens that provide food sources for humans and local fauna alike. DISCLAIMER: Sustainable Solano’s listing of names, websites, and descriptions of landscaping professionals are provided for the user’s convenience, and should not be construed or interpreted as an endorsement or recommendation of these professionals by Sustainable Solano. The inclusion of links is not intended to endorse any of the views expressed on websites external to SustainableSolano.org, or the individuals or organizations sponsoring the sites. Sustainable Solano is not responsible for and does not control or guarantee the quality of services provided by any listed professional, or the quality of content on websites external to SustainableSolano.org.